Also known as Punto Banco and Chemin de Fer, Baccarat has an aura of 'class' about it, mainly because in real casinos it's played in separate rooms that cater to high rollers. 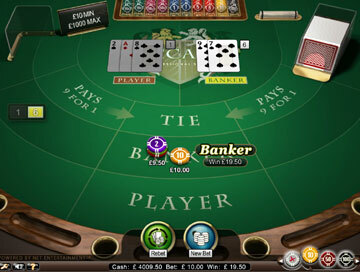 Regardless of this aura, players shouldn't be intimidated to try the game, as Baccarat has the simplest set of rules of all the card games you'll find at the casino. 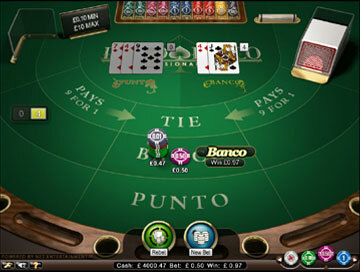 The objective of the game is to predict whose hand, the Banker's (Banco) or the Player's (Punto), will be closest to the value of nine. You can also bet on the possibility of a tie. Because you can bet on the Banker rather than yourself as the Player, you'll often find yourself in the situation where you want your hand (the Player's) to lose! This is very different to a game such as Blackjack where you're constantly trying to beat the bank. Understanding this forms the basis of our Baccarat winning strategy. 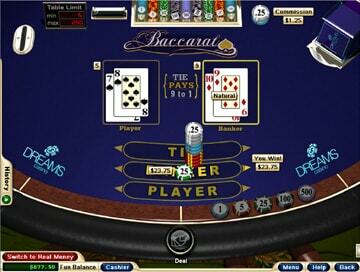 In Baccarat, the point values of the cards are easy to understand. All 10's and picture cards have a value of zero, and all other cards (Ace through 9) are worth their face value (Aces are always worth 1). 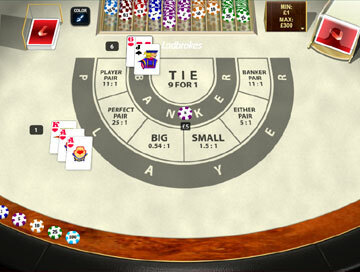 When the total of two or more cards is greater than 10, the point total is reduced by 10. 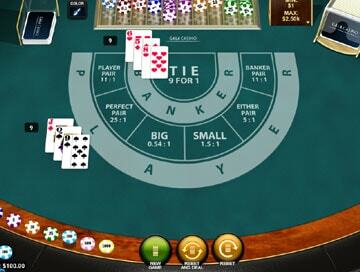 For example if a hand is dealt an 7 and a 5, resulting in a total of 12, the total is 2 (12 - 10). If the banker's total is 2 or less, they take another card. 3 and the player's third card is an 8. 4 and the player's third card is a 0, 1, 8 or 9. 5 and the player's third card is a 0, 1, 2, 3, 8 or 9. 6 and the player's third card is a 0, 1, 2, 3, 4, 5, 8 or 9. If the hand that you bet on wins, you are paid double your bet, unless you bet on a tie. If you bet on a tie, the payout is eight times the amount. 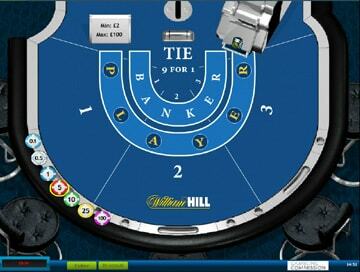 If you bet on the Banker's hand, and win, the House charges a 5% commission - the vigorish. 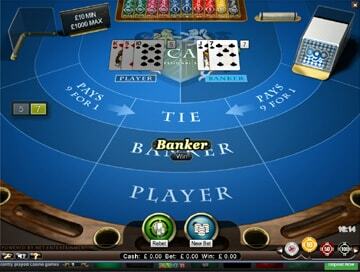 As the Banker is the best most likely to win, statistically, the vigorish is where the casino has its edge. 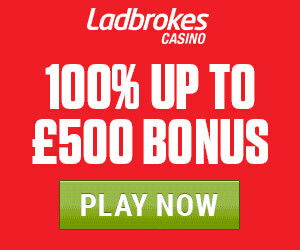 Except when you play on betfair Casino's Zero Lounge Baccarat, where the commission is only 2.75% - resulting in a house edge of 0 and an expected payout of 100% - the highest casino payout anywhere! See this explanation for more details. The rule that sets Baccarat apart from many other games is the rule that if you do not bet on a tie, and the hands tie, your bet is returned to you. In other words, you can consider the game as an evens chance bet (like a coin toss) between Player and Banker. 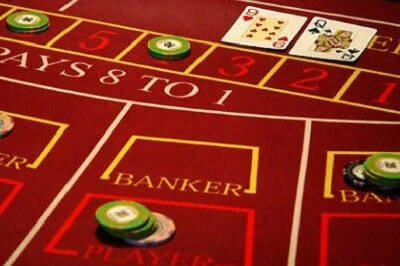 Again, this is essential to understanding our Baccarat winning strategy. Finding a winning Baccarat strategy lies in understanding the rule that if the hands are tied, your bet is returned to you. 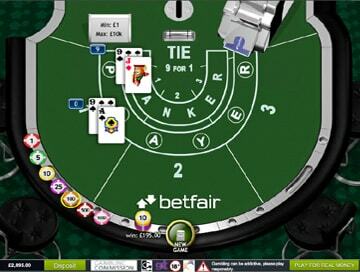 Because of this, in any calculation of the Baccarat house edge, the Tie bet can be effectively disregarded. We explain why a very common Baccarat strategy doesn't work, and suggest an alternative that give you a much better chance to win. Once you're familiar with our recommended Baccarat strategy, why not put it through its paces on our FREE Baccarat game, courtesy of Bovada casino, which you can play without registering or downloading.